I was really very excited to review a Yvolution Velo balance bike, I had accepted with my Daughter, Meg age 4 in mind but was surprised to see how much my son, Blake age 6 was interested in this! He even helped to build it! From the moment you open the box, it's clear where all the parts need to go to build the bike. 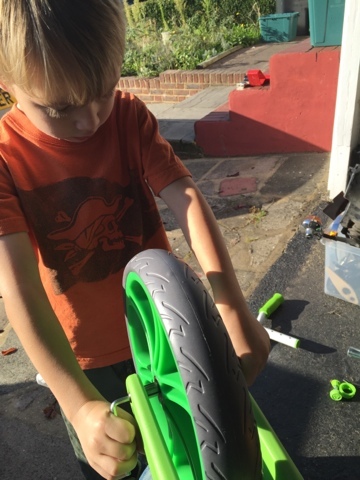 The wheels are moulded so you don't need to worry about flat tires. 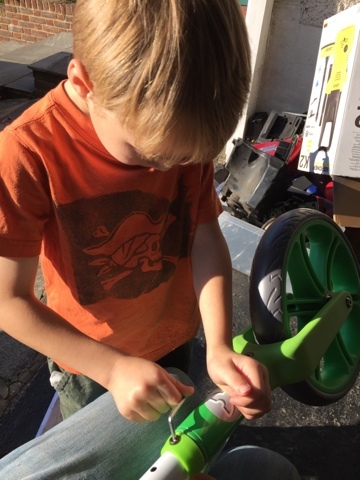 It didn't take long at all to put the bike together. 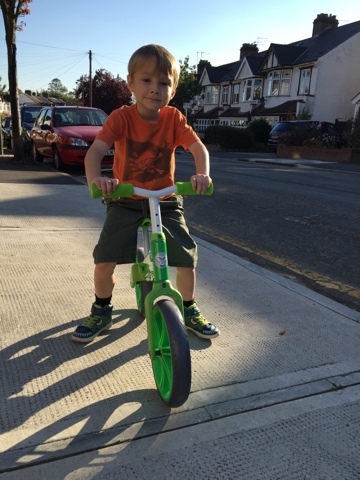 You can chose different heights for the seat and the handle bars so the Bike can grow with your child. 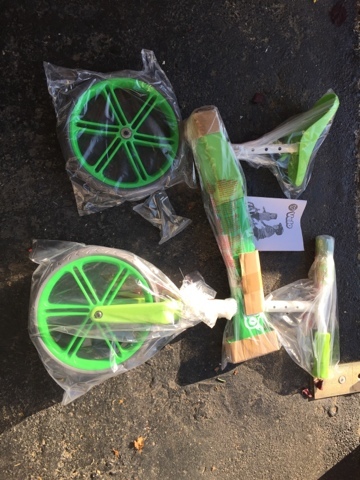 The larger wheels make it easier to travel over uneven surfaces, whist the seat is comfortable and the frame is strong and lightweight aluminium. 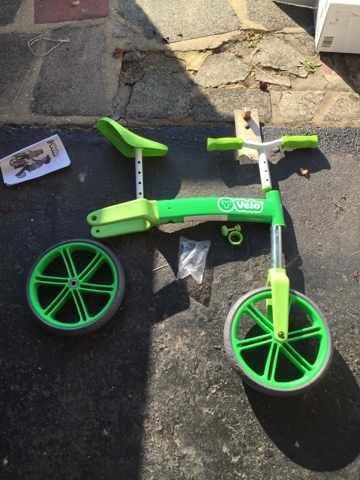 The Yvolution Velo Balance Bike is for ages 3 upwards - My children are 4 and 6 and both enjoyed the bike, balance bikes are a great way to introduce your child to cycling as they encourage children to use all parts of balancing - it's said that a child can go from a balance bike to a bicycle without stabilisers. 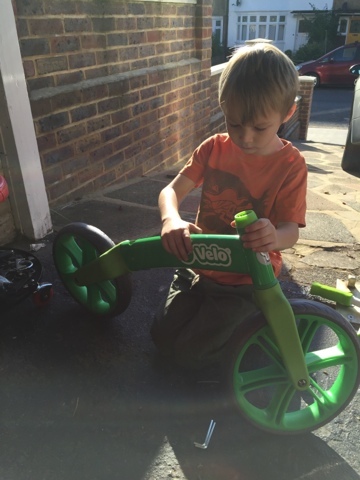 Yvolution Velo Balance Bike is available directly from Yvolution or Argos. 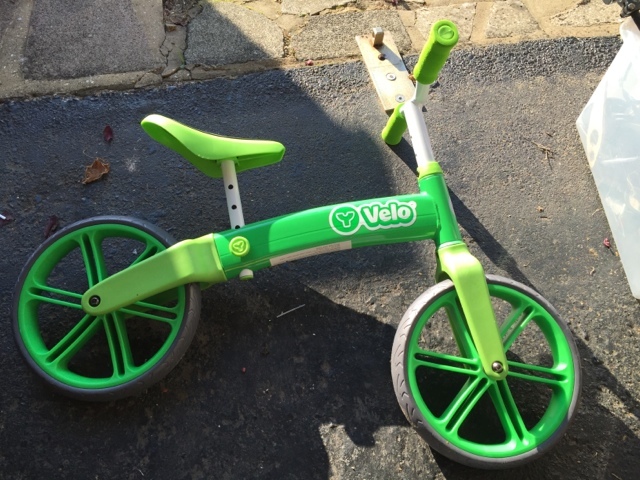 disclaimer - I received the Yvolution Velo Balance Bike for the purpose of this review, all photos, words and link choices are my own.